The philosopher Kierkegaard said a life could only be understood backwards. 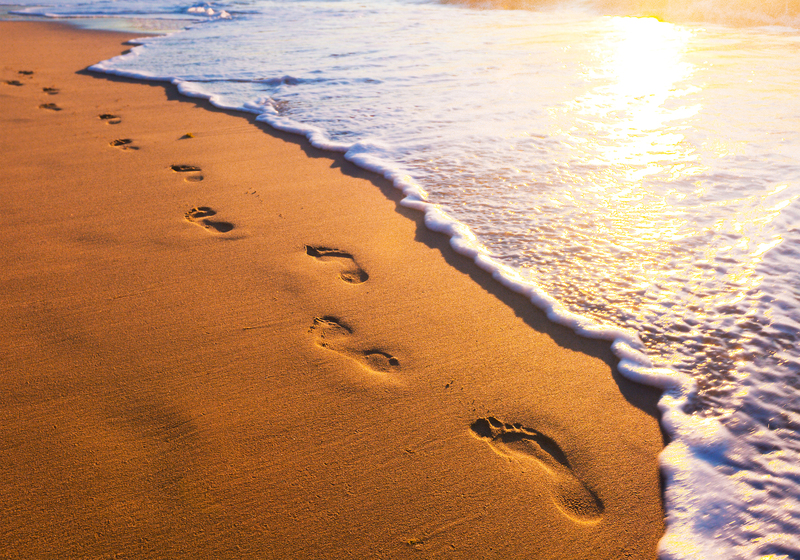 Perhaps looking back we glimpse the patterns – the footsteps that led us to where we are now. Last night I awoke with a start remembering two funny coincidences that made me think Laura’s and my soul were entangled before we met. I remembered that my favorite childhood name was Laura (I secretly wished I had been named Laura) -not least because I loved the homesteading tales of Laura Ingalls Wilder. But this is the weird thing – I remember aged about 12 or 13 (for no reason I can recall as I didn’t especially like cats) I painted a picture of a black cat which I titled ‘Puddy’. Laura was 8 years older than me, and around the same time as I made that picture, she got a black cat and called it Puddy. After we met there were a lot of synchrinicities in our lives – we both collected spoons, we both had felt hats from the same tiny store and we both went (separately without telling the other) on the same day to the same store and bought the identical cutting board. How we laughed about that. I wonder do we pluck out what serves us when we look back or do we see for the first time more clearly the seeds that blossomed into life? This is so amazing. You and Laura were truly created for each other. You will definitely meet again in the eternal universe.